Electric Sheep hosts an afternoon of film, music and comics as part of Rough Trade Shops’ RoTa afternoons. 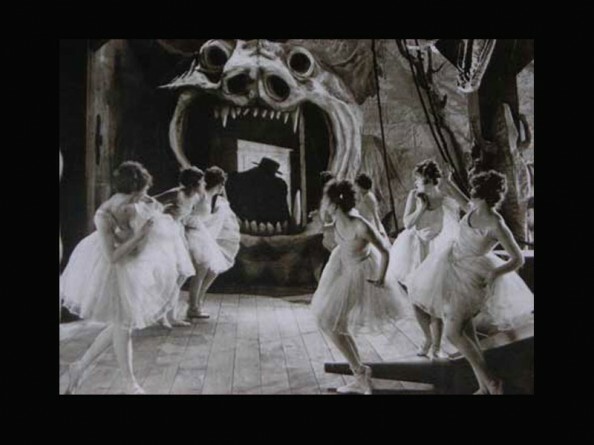 The earliest film version of the legendary figure and one of the first silent horror films, The Phantom of the Opera (1925) stars the great Lon Chaney as the horribly disfigured Erik who leads a secret and lonely existence beneath the Paris Opera. After falling in love with a beautiful young singer, he holds her prisoner in his underground lair. Darkly poetic and full of visual delights, the film creates a startling world of nightmarish beauty while Chaney superbly brings out the terrible humanity of the monster. The film will be shown with a live DJ rescore by DJ Downfall. We Are Words + Pictures are a London-based team of illustrators and writers who bring comics to new readers through events, workshops, publications and market stalls. WAW+P will be bringing illustrator Anna Saunders to Electric Sheep Subterranea, where she’ll be drawing alongside the screening, as well as a selection of ‘zines and comics, which will be on sale in the bar. WAW+P are contributors to the new anthology Solipsistic Pop edited by Eagle Award winner Tom Humberstone, which aims to showcase the best in current British small press and underground comic books, and will be available for sale at the event.